The Detroit Red Wings are getting involved in the Esports game. 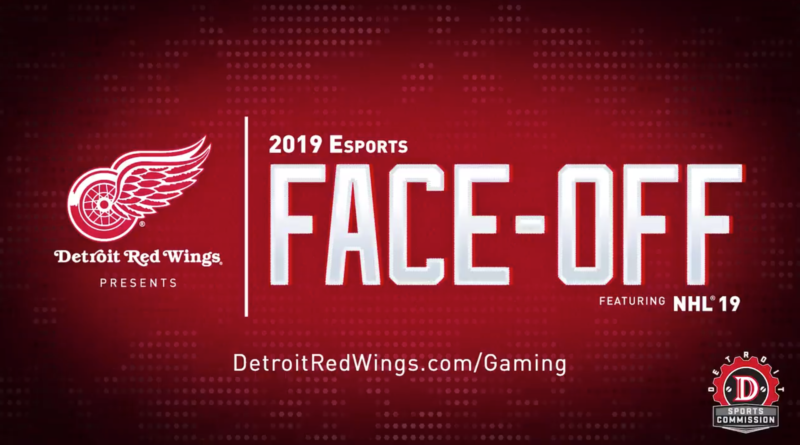 The team announced Thursday it’ll be hosting the 2019 Esports Face-Off, a EA Sports NHL 19 tournament that culminates with a championship match at Little Caesars Arena. Fourteen online 1-on-1 qualifying tournaments will be held on both PlayStation 4 and Xbox One, beginning January 25. The qualifying period runs from Jan. 25 through Feb. 15, with playoffs and the ultimate championship game taking place on Feb. 24. The live championship game will take place following the Red Wings’ battle with the San Jose Sharks that night. First place takes home $5,000, including a GAEMS Vanguard Personal Gaming Environment (a case with a built-in monitor to take and play your consoles on the go), a custom Red Wings jersey, a Meet & Greet and more. Second and third place finishers also will take home a monetary prize and Red Wings prize bundle. Per the Red Wings, participants for all 16 qualifying tournaments, including the two live qualifiers at High Score eSports can register online with no entry fee required. Registrants for the qualifying tournaments will have the option to play EA Sports NHL 19 on either the Xbox One or PlayStation 4 system. The live qualifying tournaments will feature one tournament on the Xbox One system and one tournament on the Playstation 4 platform. At the live event at Little Caesars Arena, qualifying tournament winners will compete using the console he or she used in the preliminary tournaments. The championship game will be played on the Xbox One system. Registration is now open for the online qualifiers.